Is there a point in life at which high blood pressure is “OK” to have—say, when you’re relatively young and your body is quite resilient? Researchers from Duke Health in Durham, North Carolina, wanted to learn about the effect of high blood pressure when it starts relatively early in life, and they set about this in a novel way. Instead of starting with people who are young today and then following them for many years, they examined existing health records going back to 1985 on nearly 5,000 American adults who had blood pressure readings taken twice before age 40. And then, instead of using the definition of “normal” blood pressure that was in effect decades ago when those readings were taken, they applied today’s more stringent definition of normal blood pressure to categorize each of those 5,000 people as having, normal, elevated or high blood pressure. Then they looked at which of these people suffered serious cardiac events during the ensuing years—and the news was not good, not even for those young adults who had had mildly elevated blood pressure. The message for today’s people under age 40? The new blood pressure guidelines (details below), published in 2017 by the American College of Cardiology and American Heart Association, should be taken seriously—and taken seriously now, not just later when you’re older. Prior to the new guidelines, high blood pressure was diagnosed when a person’s blood pressure was 140/90 or above. But the Duke researchers categorized study subjects’ (mostly untreated) blood pressure readings based on the 2017 guidelines—normal (systolic, or top number, of less than 120 and diastolic, bottom number, of less than 80)…elevated (systolic 120 to 129 and diastolic less than 80)…stage 1 hypertension (systolic 130 to 139 or diastolic 80 to 89)…or stage 2 hypertension (systolic 140 or greater, diastolic 90 or greater or taking high blood pressure medication). Results: Study participants whose blood pressure readings were defined as elevated, stage 1 hypertension or stage 2 hypertension before age 40 had a significantly higher risk for a serious cardiovascular event, including coronary heart disease, stroke, heart failure and peripheral artery disease, over the next 19 years than those whose readings were normal. The risks increased with the degree of hypertension. 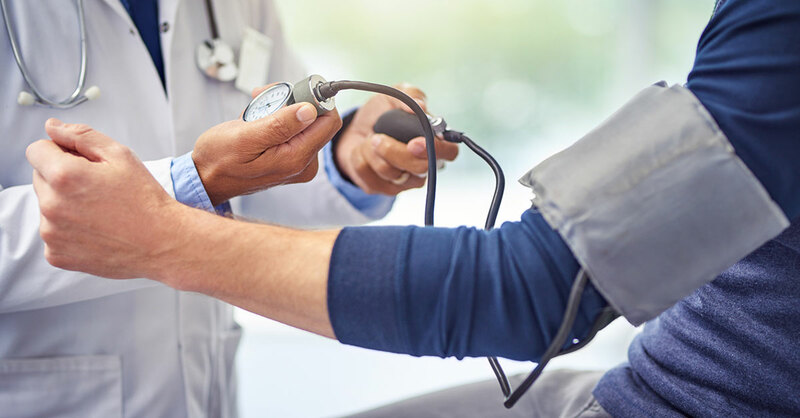 For example, those with elevated blood pressure had a 67% higher risk of having some type of cardiovascular event than the normal blood pressure group…those with stage 1 hypertension had a 75% higher risk. Not surprisingly, stage 2 hypertension was associated with the most significant risk—people in this group were three-and-a-half times more likely to have a future cardiovascular event. Bottom line: The new guidelines are useful in identifying young people who have a higher risk of developing heart problems as they age so they can begin early treatment. People under age 40 should follow the same advice as older adults to reduce their risk for hypertension, such as maintaining a healthy body weight…getting regular exercise…reducing stress—and giving up cigarettes if they smoke. For further blood pressure management strategies, consult your physician.